The Grand Prix de Pau, held on the streets of the Bearn city, is an historic event, first held in 1933. Jaafar will drive his Carlin British F3 race car at this unique race, which is one of six classic F3 events included in the inaugural F3 International Trophy, a championship which offers eligibility for a Formula 1 superlicence to the top three drivers. The Pau event has been run on 68 occasions, featuring various categories of motorsport. 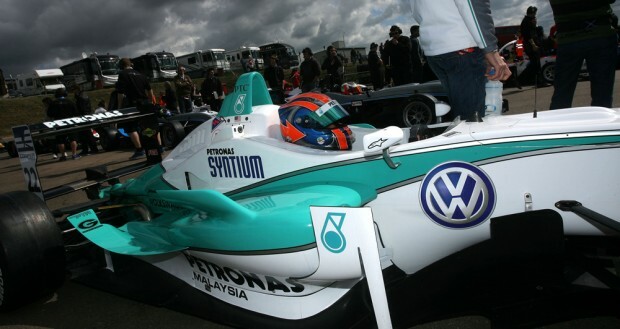 The last Grand Prix was held in 2009, but Formula 3 cars last raced at the venue in 2006. The return of the formula gives Jaafar and his F3 rivals the chance to race on one of the classic European street circuits. The FIA Formula 3 International Trophy is a new series for 2011, drawing together young talent from F3 series in the UK and across Europe. The first round, held at Hockenheim three weeks ago, was a round of the F3 Euro Series, with the cars being run on Kumho tyres. For the Pau event the cars will run on Yokahama rubber, another different tyre than Jaafar runs in British F3, as for this championship Cooper Tires are used. The weekend begins on Friday morning with a 45 minutes practice session and a further 30 minutes session in the afternoon. Two thirty minutes qualifying session on Saturday precede the race, the 70th Grand Prix of Pau, a forty minutes feature race. The race will be broadcast live in Europe on Motors TV. For further information visit www.grandprixdepau.com.